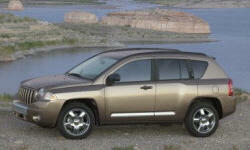 Jeep Compass Pros and Cons | Page 1 of 1 | Why Not This Car? What drives people to buy (or not buy) a certain car? TrueDelta's members share Jeep Compass pros and cons based on their real-world driving experiences. It is a limited.. .so it has extra nice features. 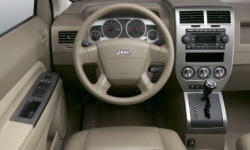 The Compass has the fuel economy of a 4 cylinder sedan, with the comfort of an SUV. Yet those 4 cylinders put out approx 172 HP, more than enough to get the vehicle hussling down the road at a good pace without feeling gutless. Good price for type of vehicle and good financing rates. Compared to the 13 mpg avg of our 04 Dakota, it was a no brainer.